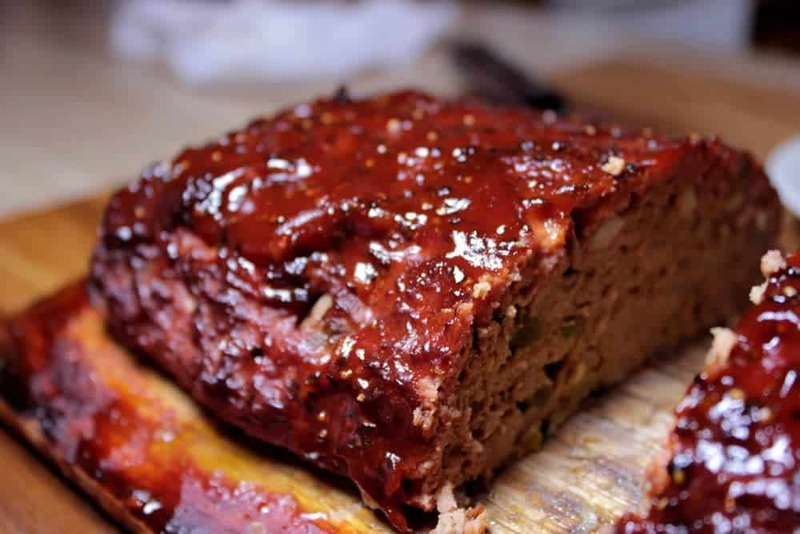 Smoked meatloaf is AH-mazing and if you haven't tried it– well, you probably should. 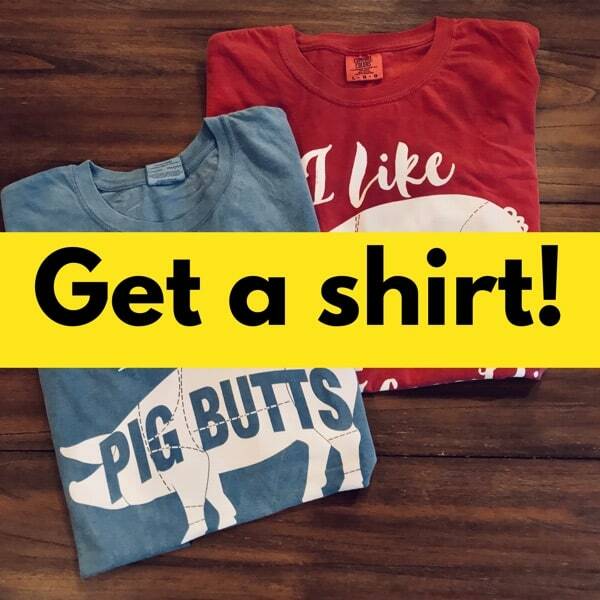 It may just change your world! 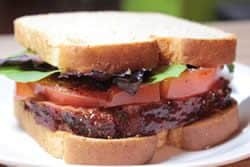 Meatloaf was a staple growing up in the Blue Ridge Mountains of North Carolina and my favorite way to eat it was between two slices of bread made up like a burger with all the fixins. Add in some sweet corn, mashed potatoes and a blackberry cobbler and oh my goodness! Just when I thought something great could not get any better, I decided one day to try it in the smoker and the amazing smoked meatloaf was born. All of the wonderfulness of meatloaf with that added smoke flavor and you'll swear to never make it in the oven again. 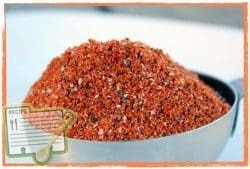 *Mesquite has a wonderful flavor but it is one of the strongest tasting woods that ever was. 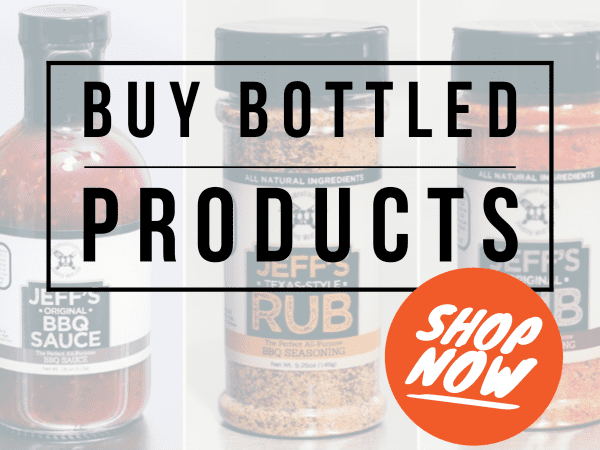 Use less of it than you would normally use until you decide if you like it and how much works best with certain meats and recipes. 1 plank of wood, cedar, oak, maple, etc. 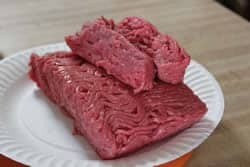 I use a scale to measure out my beef and sausage. If you don't have a scale, just buy the correct amount or to the nearest pound and get it as close as you can. 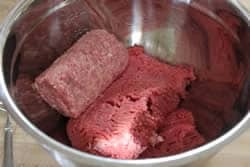 Combine ingredients with a spatula or just get in there with your hands if you are so inclined. Form a loaf on top of the plank. Note: At low smoker temperatures <275°F and indirect heat, there is no need to soak the plank before using. Place the plank with the meatloaf on a Bradley rack, Weber grill pan or a cooling rack if you have one. 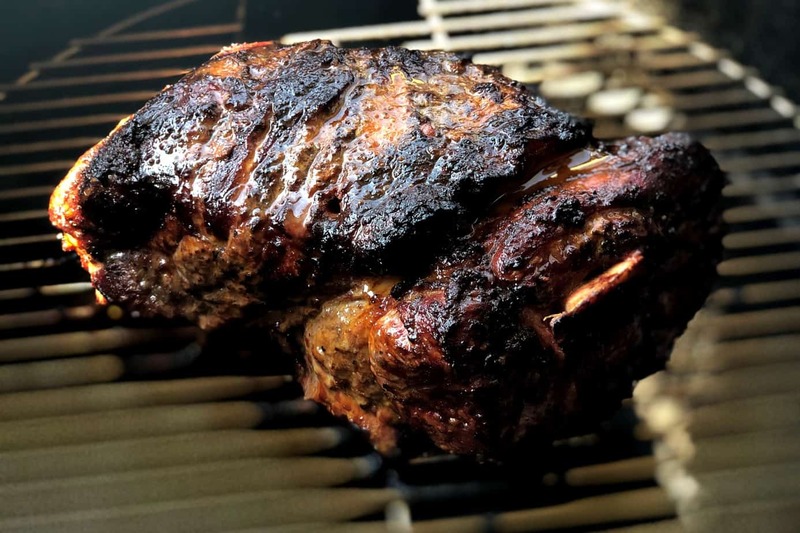 A rack helps support the meat during transport to and from the smoker but is not entirely necessary. 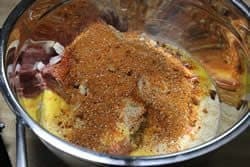 Any smoker or grill will do a great job on this providing you can maintain an average of 225-240°F throughout the cook and you can supply some hard wood smoke to the meatloaf for at least 1.5 hours. 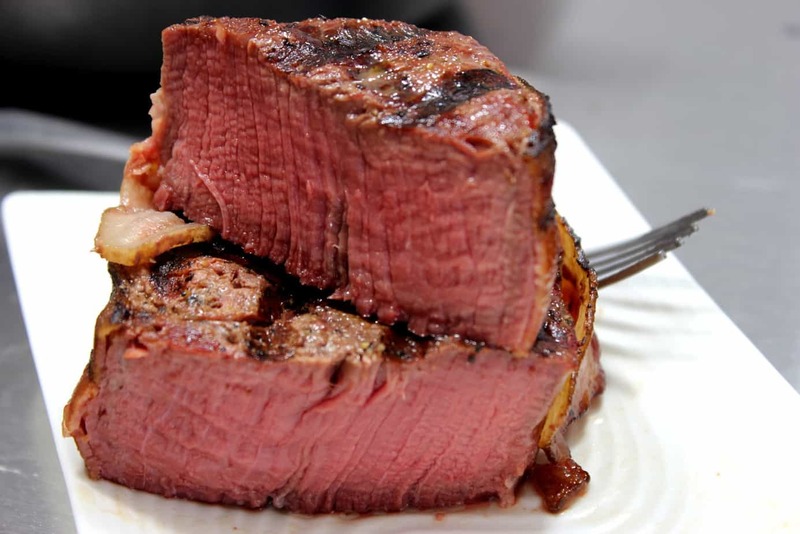 I have used electric, charcoal, propane, pellets and even a gas grill for this and it's out of the ballpark better than anything you can do in your home oven. 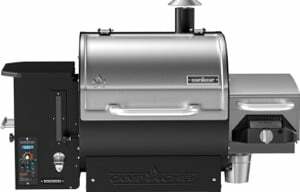 Here lately I have really enjoyed using the Camp Chef Woodwind pellet smoker for a lot of my cooking and have recently received other pellet smokers which I will review at a later date. 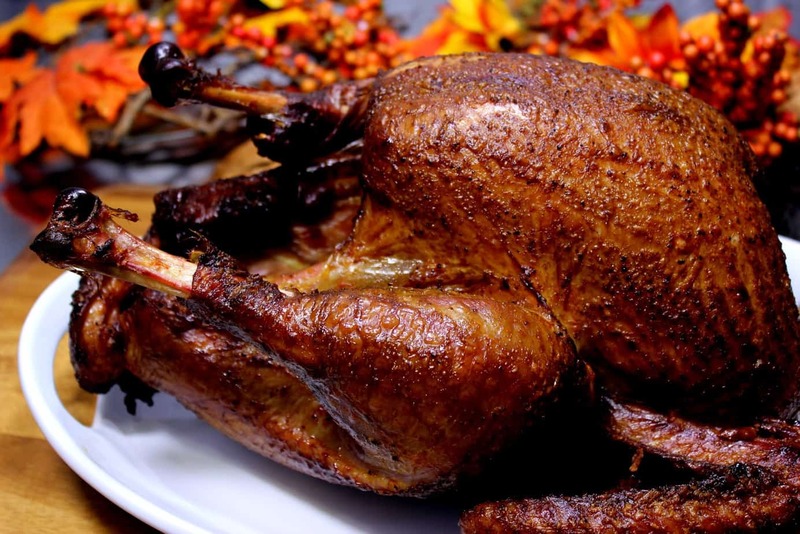 You just can't go wrong with a pellet smoker like the Woodwind by Camp Chef. Fill it with 100% hardwood pellets, plug it in, turn it on and let it go. It's really that simple. 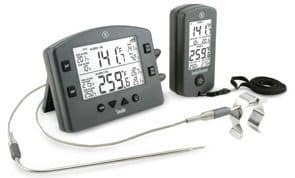 Please note that I recommend cooking everything for at least 1 hour on the “Lo Smoke” Setting in this unit to maximize your smoke flavor. After that, just turn it up to the recommended temperature of 225°F. 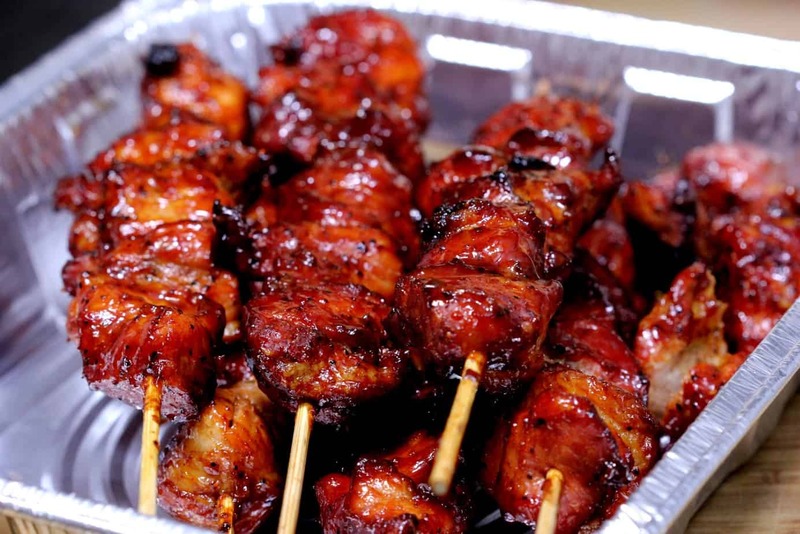 This will add about 30 minutes to your cook time but it's so worth it. Regardless of what smoker or grill you use, make sure the heat is indirect. 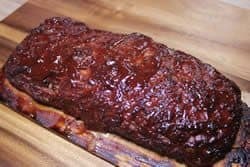 Smoke the meatloaf at 225-240°F for about 2.5 hours (or until it reaches 160°F in the center) using hickory or mesquite or you can use a different smoking wood if you prefer. 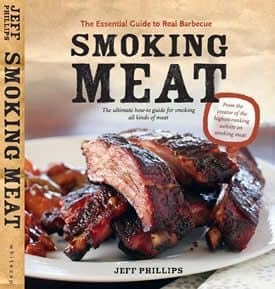 Tip 1: Keep the smoke flowing for the entire time for best results. 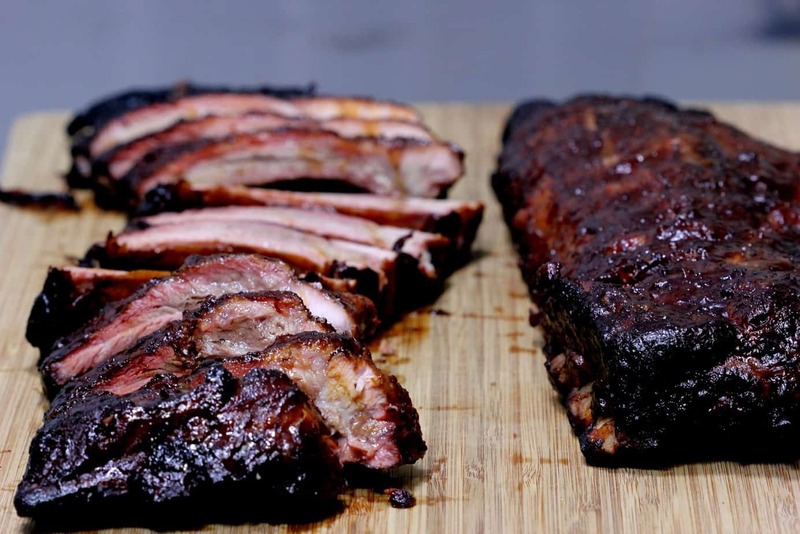 Tip 2: Use a water pan if your smoker has one. 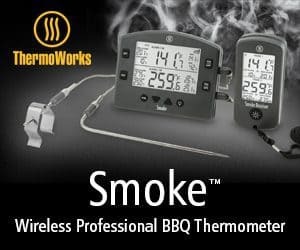 I recommend using a digital probe meat thermometer such as the “Smoke” by Thermoworks to monitor the temperature and remove the meat loaf when it reaches 160°F in the center. 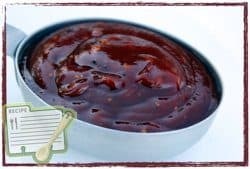 About 30 minutes before the meatloaf gets done, top it with some of my original barbecue sauce (Purchase formula here | Purchase bottled sauce) for great flavor. 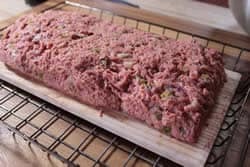 Once the meatloaf is finished, let it rest for 10 minutes and then slice it up and serve immediately. I chose to eat my first slice on a meatloaf sandwich complete with fresh tomato, lettuce, onions and mayo. My amazing jalapeno buttermilk planked smoked meatloaf is just what the doctor ordered for your tastebuds and you will be mesmerized by how good it is made in your smoker. 1 plank of wood cedar, oak, maple, etc. 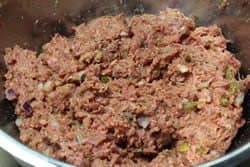 Place the ground beef, sausage, bread crumbs, jalapeños, onions, buttermilk, eggs and Jeffs' original rub into a large bowl and combine. 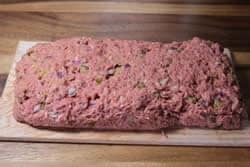 Remove the meatloaf mixture and form it into a loaf that is rectangular in shape and about 2 to 3 inches thick on top of a wood plank. This can be made in advance if you wish and put into the fridge until you are ready to smoke it. 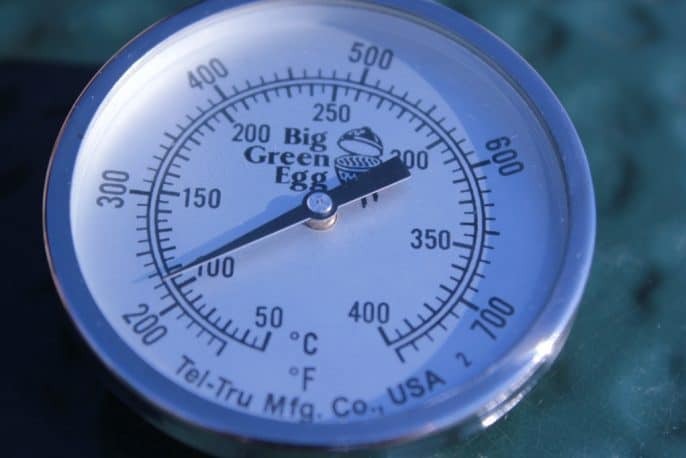 Set up your smoker for cooking at 225-240°F with indirect heat. If your smoker has a water pan, fill it up. 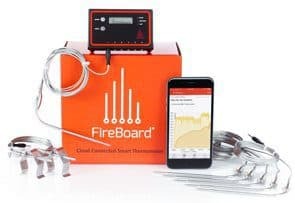 Place the plank with the meatloaf on the smoker grate and cook with smoke until the internal temperature of the meatloaf reads 160°F as measured by a digital probe meat thermometer. 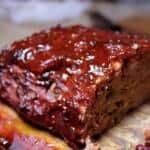 About 30 minutes before the meatloaf is finished cooking, add a layer of Jeff's original barbecue sauce to the top and sides of the meatloaf. 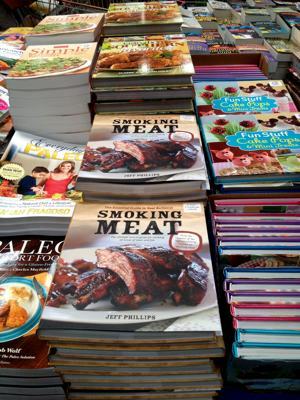 When the meatloaf is finished cooking, remove it from the smoker. Slice into ½ inch pieces and enjoy! this is the best meat loaf I have ever had! And I am a big meat loaf fan. I was worried it might be too spicy but it was perfect. I did have to add more breadcrumbs to get the right texture but it came out perfectly in 2 1/2 hrs at about 240 on the Big Green Egg. Cooked for 4 hours and stalled at around 138 internal temp. Had to finish it off in the oven. I also didn’t have a wood plank so just cooked it on a Bradley rack…stuck a bit but not a problem. Hands down the best meatloaf I’ve ever had and I’m not a meatloaf fan! Will definitely make this again. This will sound stupid but as “they” say, no question is stupid. Please explain Inderect Heating. My smoker has a wood chip pan above the propane burner with the racks above the pan. Is this indirect enough? Probably not. Indirect heating just means the heat does not hit the food/meat dead on. There is something between the food and the fire to deflect the heat. Usually propane smokers have the burner on the bottom, woodchip pan/box above that and then a water pan with the racks above that. The water pan acts as a heat sink, a drip pan and also directs the heat up the side of the smoker rather than directly up. So you are saying that in your propane smoker, there is a burner on the bottom, woodchip pan above that and then racks. I’m not sure how many racks you have but you could sit a pan of water on the lowest rack and the food on the racks above that. This would make it more indirect than it is now. just make sure there is a little room around the sides for the heat to get up to the racks where the food is. On a Traeger, I used some Mexican Chorizo for the pork and it was VERY tasty. Smoked it on the low temp side, so it took 3 hours. I think the next time I’ll put it on a flat smoking tray/rack (rather than the solid plank) that has small holes in it, to see if I can get more smoky flavor and to speed up cooking time. Anyway, it was pretty tasty for a first effort at smoking meatloaf. I put all the ingredients in the meat and then let it sit over night. The flavors just doubled in awesomeness! I have to say my husband thought I was insane when I told him I was going to smoke a meatloaf for our neighbors and their two teenage boys over the weekend. I’m so thrilled I did. It was fabulous. Not to mention our guests loved it so much they went out and bought a smoker. I must add I used my own recipe. Tried this recipe twice, once as a single loaf and then split into 2. I use a Bradley smoker and set the temp to 240, both times the internal temperature plateaued at around 145 after 3+ hours. The first time we waited patiently for another 2 1/2 hours before we gave up and popped it into the oven at 350 to finish. Same happened the second time, we moved it to the oven after 1 1/2 hours as the temperature actually dropped 4 degrees. Didn't expect that to happen! Do you soke the plank before smoking?